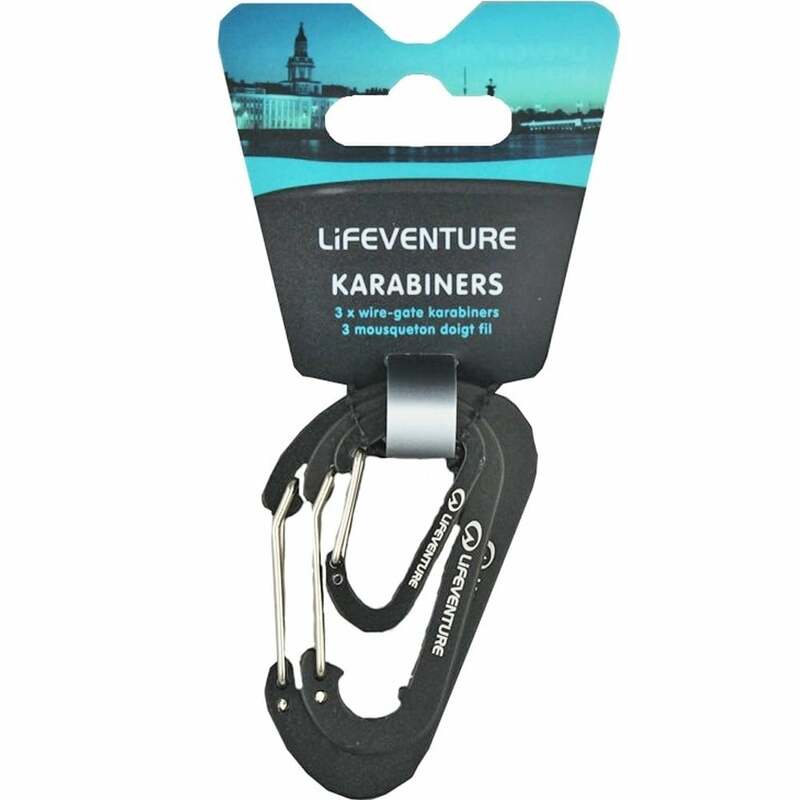 Lifeventure Karabiners Pack Of Three are a great way to attach and securing gear to your backpack, belt loop or luggage. Certainly not for climbing these stylish, lightweight karabiners are made from a lightweight anodised aluminium, this single wire gate provides fast and secure attachment. Perfect for attaching gear to a rucksack or a belt loop these little wonders are totally indispensable.